We’ve always been dedicated to helping patients get the quality dental care they need to maintain healthy smiles. We understand that looking for a new dentist can be frustrating, but it doesn’t have to be when you choose Hudsonville Dental. Our Hudsonville dentists provide family dental care for patients of all ages. Extensive experience serving patients for 40 years in Hudsonville & surrounding areas. Dental emergency? We offer same-day emergency visits! General & Pediatric dentistry to serve your whole family. Anxiety-free dentistry with nitrous oxide. Comfort menu to help you relax. Our doctors provide virtually any service you would need under one convenient roof. State-of-the-art facility with the latest cutting-edge dental technology. Missing teeth? We offer multiple replacement options. We put our patients first! Dr. Dykstra Is Officially a ForbesBooks™ Author With His New Book: Gateway To Your Body: How Your Smile Impacts Your Overall Health. 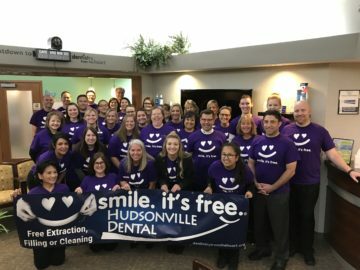 Want to learn more about how Dr. Dykstra has set Hudsonville Dental apart from the rest in terms of patient care, quality of service, and community engagement? 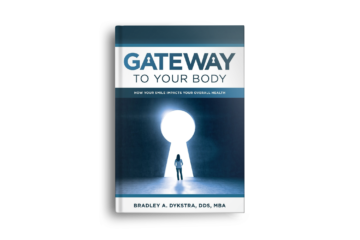 Check out his brand new book, Gateway To Your Body: How Your Smile Impacts Your Overall Health, you can get it on Amazon, or request your FREE copy by visiting drbradleydykstra.com. General dentistry focuses on the prevention, diagnosis, and treatment of oral health issues. It’s important that you see our dentist every 6 months so we can monitor the health of your teeth, gums, and jaw. Our dentists understand that lifestyle choices and family history affect oral health. For example, our dentists do frequent oral cancer screenings for someone who smokes. Likewise, we closely monitor jawbone tissue after tooth loss. Our dentists understand that oral health and overall health are connected. The goal of cosmetic dentistry is to improve the appearance of your teeth and gums. Our dentists offer a wide range of dental services to help you achieve your best smile. Whether you are interested in teeth whitening or covering up a chipped tooth with dental veneers, you can count on our expertise. Cosmetic dentistry is as much an art as it is a science. Our dentists offer restorative dentistry to repair your smile after injury or illness. For example, we might use a dental crown to restore the natural strength and appearance of a fragile tooth. If you have recently lost a tooth or have other oral health issues, reach out to our office so we can find a solution.